.44 Special 200 grain lead RNFP REDUCED RECOIL! REDUCED RECOIL ROUNDS for training and range applications. With our 100% hand-loading techniques- We place the same care and passion into each and every round produced as those do in their own private loading rooms. These techniques produce the most reliable, accurate round of ammunition available on the market today! Our mild shooting REDUCED RECOIL ROUNDS are a pleasure to shoot in repetition with minimal kick back or recoil. 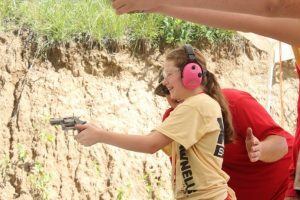 Recently the .44 Special has experienced something of a resurgence, as many firearms enthusiasts have realized that the heavily recoiling Magnum round is really “too much pistol” for many applications, and the heavier and more bulky revolvers in which it is chambered are not as convenient to carry. Another key factor fueling the Special’s comeback is its ability to fit in the longer chambers of the aforementioned .44 Magnum revolvers, much like the .38 special fits in the longer chambers of the .357 Magnum. This makes the .44 Special cartridge an attractive alternative for reduced velocity target shooting and plinking. The recent popularity of Cowboy Action shooting has also helped pique interest in the .44 Special, motivating manufacturers to offer modern and reproduction firearms chambered for this classic cartridge. 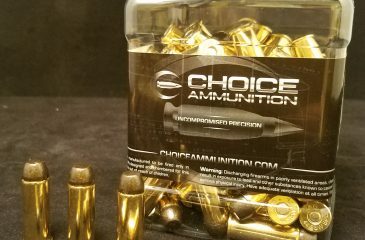 Check out our 100% hand-loaded Cowboy Action loads in this caliber in our “Cowboy Choice” tab for super mild shooting, accurate loads there as well! NEW BLACK Hi-Tek Coated Bullets !! Almost ZERO Lead Fouling !! 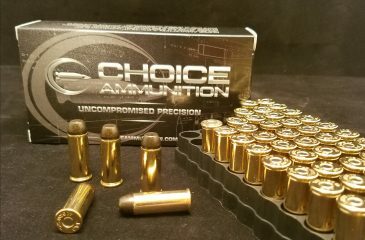 Approved for indoor ranges and shoot extremely accurately with our super-tight loading tolerances and techniques. Perfect for target and range shooting. .44 Special 200 Grain RNFP BLACK Hi-Tek Coated RNFP- With our 100% hand-loading techniques- We place the same care and passion into each and every round produced as those do in their own private loading rooms. These techniques produce the most reliable, accurate round of ammunition available on the market today! We put the same care into each round as you would at your loading bench.